MOXI balances an appeal to kids and adults, connoting vigor and courage for adults familiar with the word "moxie", and being a fun and easy to say word for kids. The name establishes the museum in a similar lexicon to MoMA and MoCA […]. 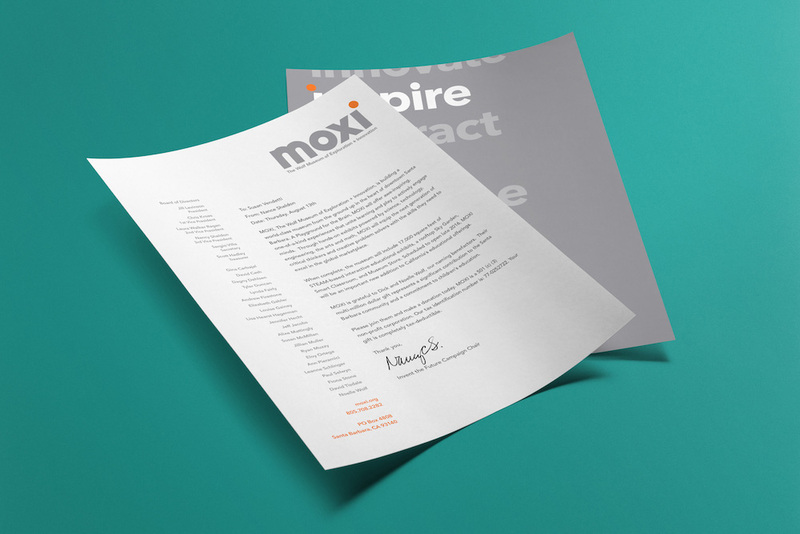 MOXI's logo was developed to appeal to a broad audience, feature a timeless aesthetic, and express the museum's fun-forward approach. The offset tittle of the "i" suggests someone leaning forward to look closer and interact. This signature "i" also acts as an activator for the brand's "o" language system that is throughout the brand's visual identity. I like the name because I like the word moxie — it's something a 1930s Chicago gangster says while holding a tommy gun (which, granted, is not the right correlation with a kids museum) — and, before reading the project description I hadn't thought about it as being on par with MoMA and MoCA and all those other Museums Of something. 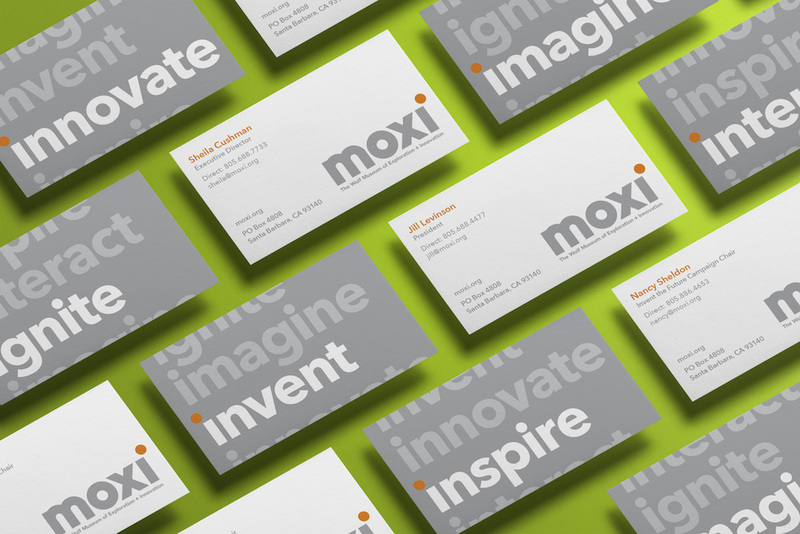 I find it confusing that in writing they call it "MOXI" all uppercase and the logo is "moxi" all lowercase but, hey, kids these days, you know? The offset tittle in the logo, to me, serves as a visual representation of moxie, of the dot stepping outside its intended boundaries, so it's a nice metaphor for encouraging kids to be curious and explore (without breaking the rules). I wish the logo had a nicer "m" — that halfway-there stem is distracting and not exactly pleasant. Applications are fine; nothing too extravagant and the "i" words are a decent hook to build a language around. Overall, this is good but it should have led by example and displayed a bit more visual moxie of its own. (To be Est. 2016) \"MOXI, The Wolf Museum of Exploration + Innovation, will be a playground for your brain — an awe-inspiring, one-of-a-kind experience that will inspire a new generation of innovators and problem-solvers. The 25,000 square-foot museum will include 17,000 square feet of interactive educational exhibits focused on Science, Technology, Engineering, Arts, and Math (STEAM).\"